I'm fixin' to undo this bowtie. Or I'm gonna before the day's much older, pretty sure. It's bugging me, for some reason. I went with a less colorful choice to match the blasé blahs of the past few days. Even though it's a little better today, I think. Partly cuz I'm walking better, I imagine. Still & all (which is a funny expression, isn't it), it's a kinda down time, with me, overall. Not super down. But down enough. 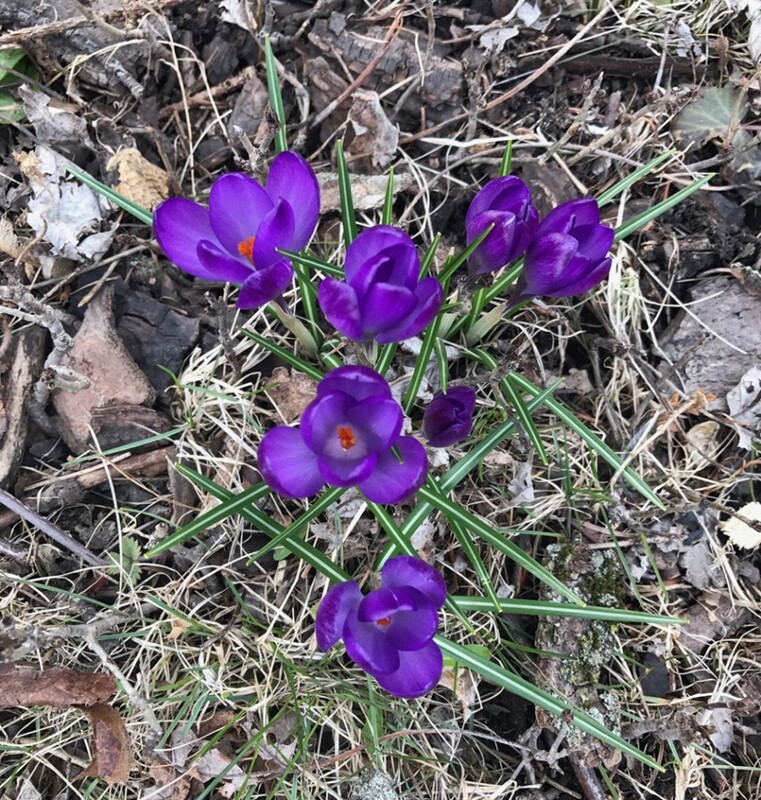 On my midday dog walk, I did see the first croci of the year in my yard. They're pretty late this year. Hi, Mom, I say to the croci. So that's something. Something coming. Something that will be different, and welcome, and not just because of the Groundhog Day "anything different is good".